For a set of four (4) purchase two (2) sets. Wider is Better! 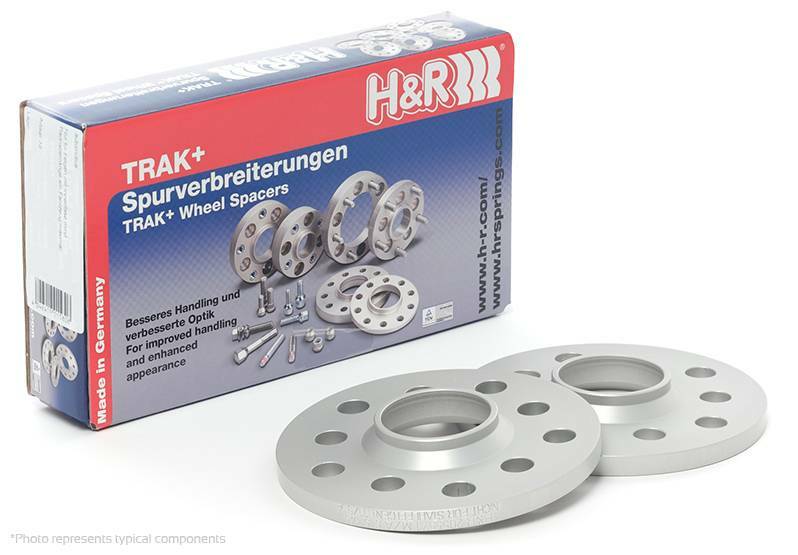 H&R TRAK+ Wheel Spacers provide simple and effective vehicle track widening for improved handling, performance, safety, and a 'perfect stance'. Featuring a 'perfect fit' hubcentric design, TRAK+ Wheel Spacers are extremely durable and lightweight thanks to a proprietary aluminum/magnesium alloy. Place a straight edge flush with the face of the wheel and tire combination. Make sure the straight edge touches the tire in two spots to keep the straight edge even with the tire. Measure from the inside of the straight edge to the inner fender lip. 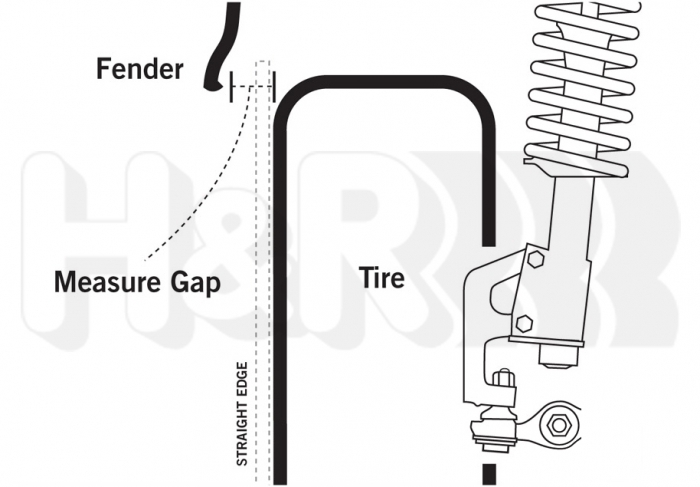 (see diagram) Take the measurement at the point where the wheel and tire is closest to the fender. For instance, on a car with a large amount of negative camber the tire and wheel may be closest at the front or rear edge of the fender. Since 2002, MINI has changed their lug bolt size. Generally 2002-2005 MINI Coopers have 12mm lug bolts and 2006-2016 MINI Coopers have 14mm lug bolts. We have seen 2006 models have either 12mm or 14mm bolts. 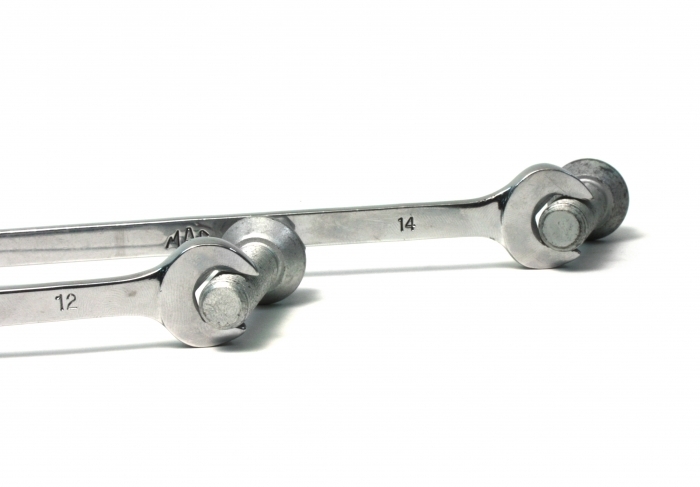 If you own a 2006 model year we highly suggest measuring your OEM bolts prior to ordering. Remember you are measuring the diameter of the threaded section of the bolt, NOT the size of the tool required for installation and removal.